•	350g of ready puff dough. •	1 egg yolk with a teaspoon of milk (to paint the upper layer of bundles). The stuff : Can of adry dough(shams™ dough chips). •	1 1/2 a cup of rice. •	2 tablespoons of minced onion. •	1/2 a kg of small pieces, chopped meat fillet. •	1/4 a cup of pine. •	1/4 a cup of boiled and peeled pistachio. •	1 teaspoon of sweet condiment. •	1/4 a teaspoon of white condiment. •	1/2 a teaspoon of cinnamon. •	2 tablespoons of ghee and vegetable oil. •	1/2 a cup of peas. •	Wash rice, put oil in a pot, fry pine, pistachio and almond then raise nuts by a big and cracked spoon and set them aside in the same oil. Fry onion a little until its color becomes pink. 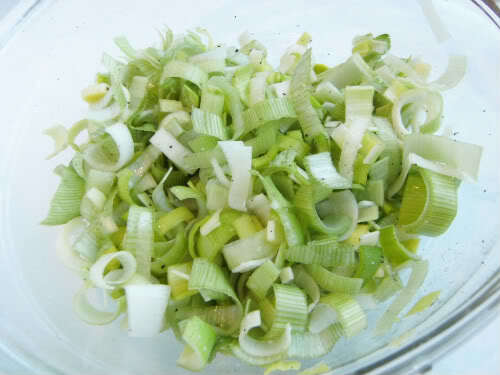 •	Add chopped meat and fry it with the onion and stir them using a wooden spoon until the meat color changes. •	Add rice with water and cook it on moderate fire until the water starts to boil. •	Then, reduce the heat and continue boiling rice until it absorbs all the water then turn off the fire. •	Add spices and flip rice a little then leave it to be slowly cooked for 20 minutes after closing the pot. •	Unveil the cover of the pot and add peas and mix it with rice, then pour the rice mix in a dish and set it aside until it cools completely. •	Sprinkle a little of flour on the preparation table and knead the paste on it Like a big oblong Shape. •	Cut the paste Into equal squares (12-14 cm). Put each square in a cup and fill it with the rice stuff then close and flip it on an anti adhesion griddle or a griddle which is painted with a little of oil. •	Row ozzi bundles in an organized way and paint their upper surface with the egg and milk mix. •	Heat the oven to 350 degrees Fahrenheit and bake the bundles inside it until their color becomes pink. •	Serve the bundles with yoghurt or fresh salad.